There’s an art to hosting a successful networking event. You have to attract the right mix of passionate people — and to do that, you need an inviting venue to draw them in. You already know the Tin Pan as a popular music venue, but have you considered booking our space for your next networking social? 1. It’s centrally located. At the end of the workday, no one wants to battle Short Pump traffic or fight for a parking space downtown. The Tin Pan is easy to reach from every corner of Richmond, and our 220-space parking lot can accommodate the largest networking group. 2. The Tin Pan event space is intimate and inviting. You can’t hold a successful networking social if people are shouting to be heard or crammed into a tiny room. 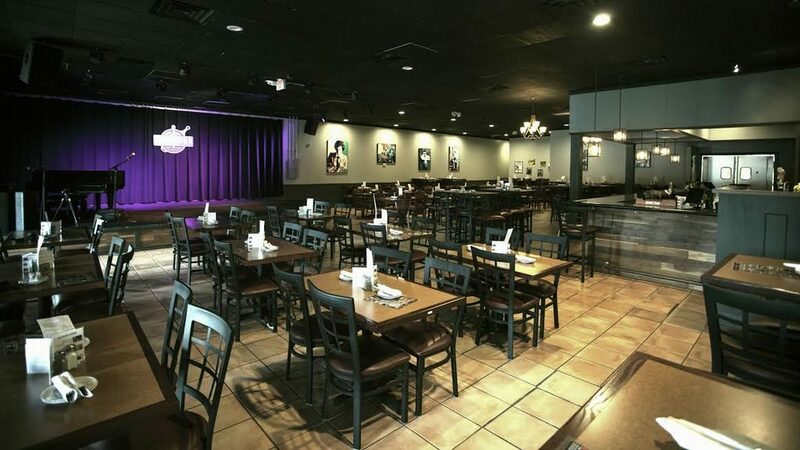 The Tin Pan’s spacious yet intimate setting encourages lively conversation. 3. Our food and drink options are varied and affordable. For networking events, the Tin Pan can provide a cash bar, a hosted bar with drink tickets, or an open bar with drinks of your choosing. Our culinary team can also serve hors d’oeuvres by the piece or the platter. Whether your networking group has 40 members or 220, we can accommodate your event. The Tin Pan’s event space is available for venue booking seven days a week, both daytime and evenings. Contact us to check availability for your next networking event.